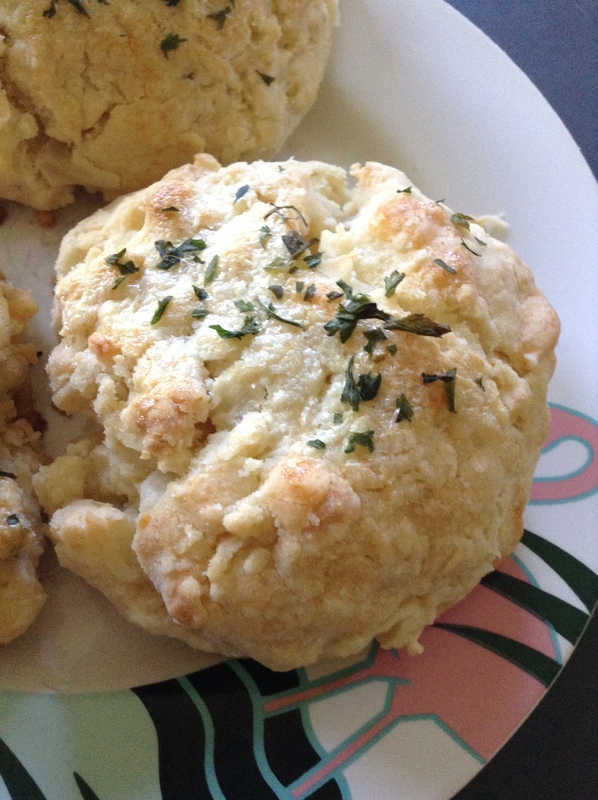 Scones are just one of those delicious treats that I can never seem to get enough of. When I was planning on what to sell at the farmers market I knew I wanted something easy to make and delicious to eat. 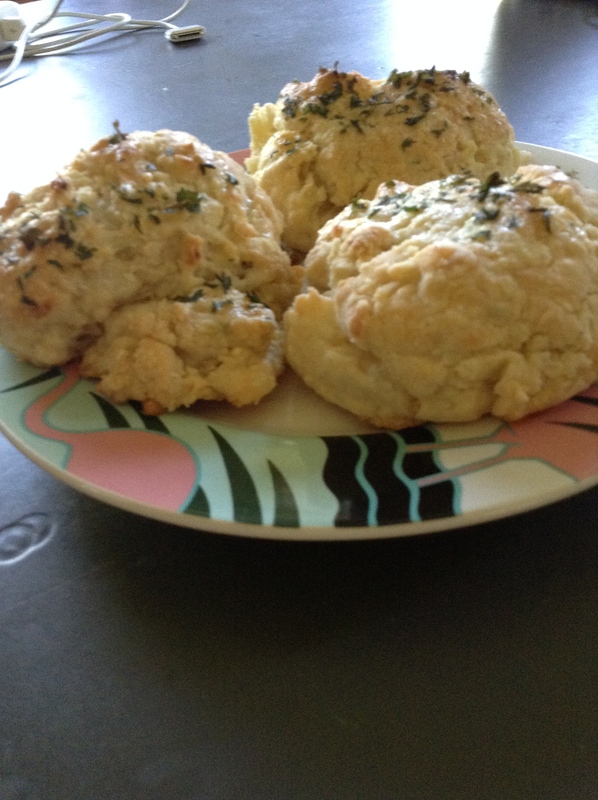 I picked my favorite Pepper Jack Cheese Scones. 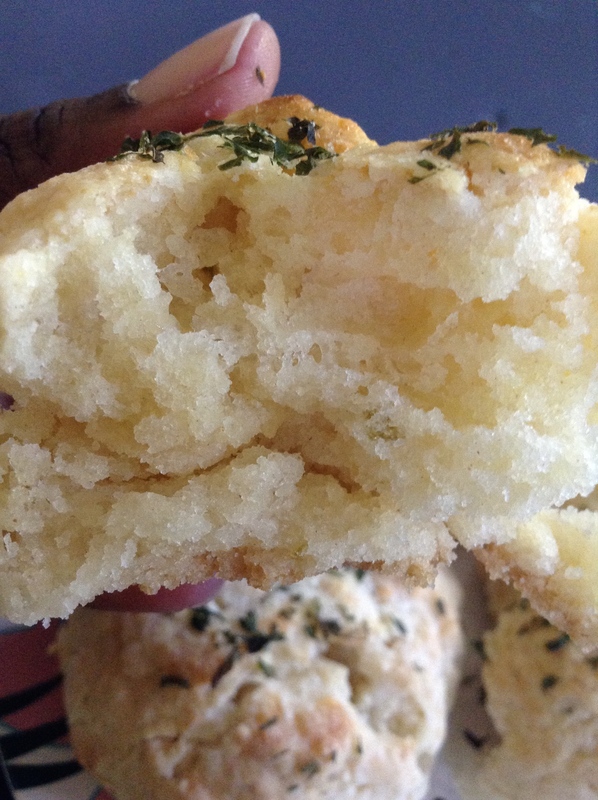 These scones were quite popular at market and I thought I’d share with you just how I make them. Let me start by saying I am not a professional baker I bake for family, fun and simply to enjoy a treat I love. This recipe is not really mine as it is heavily based on Tyler Florence’s Blueberry Scone with Lemon Glaze recipe, with just a few customizations here and there. You will need to gather: all-purpose flour, baking powder, salt, sugar, unsalted butter (if you don’t have it use salted but omit the salt in the recipe. Keep your butter cold! 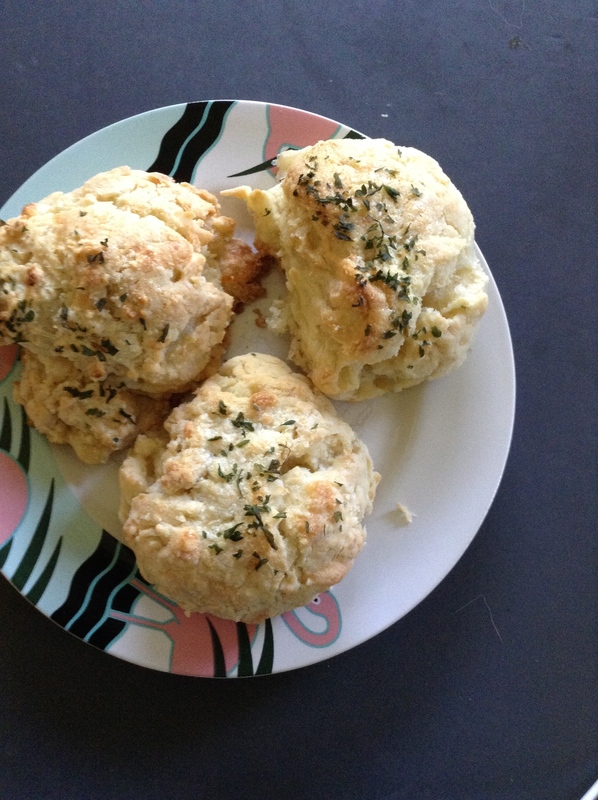 ), heavy cream, Pepper Jack cheese and parsley (not pictured). 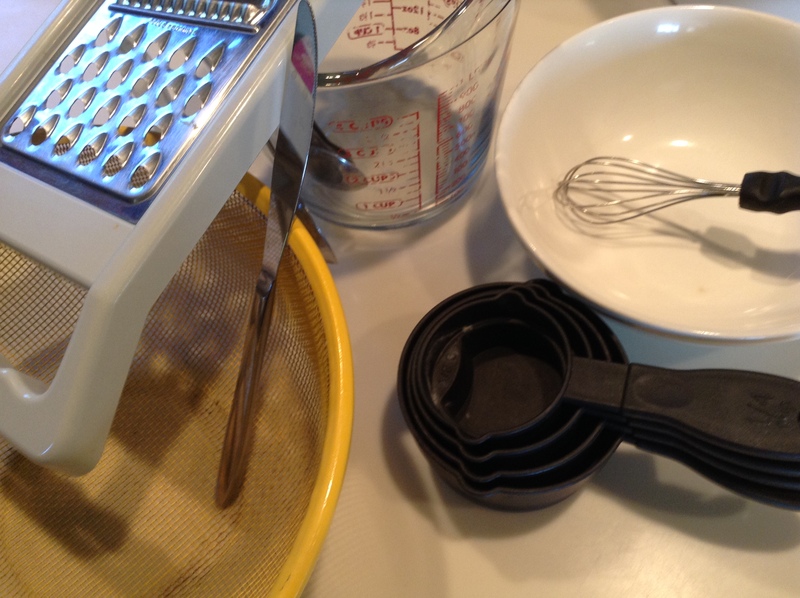 Measuring cups, liquid measuring cup, measuring spoons, a grater, a mixing spoon, a sieve, and a large bowl. A knife to level ingredients if you are like me and level at every step along the way. 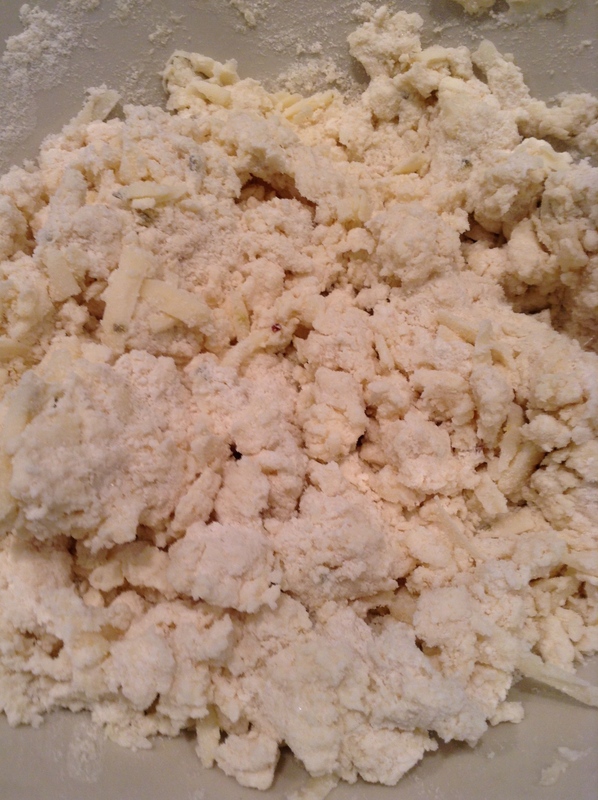 Cut butter into small chunks and add to dry ingredients. Now the recipe says using 2 forks or pastry blender, cut in the butter to coat the pieces with flour. 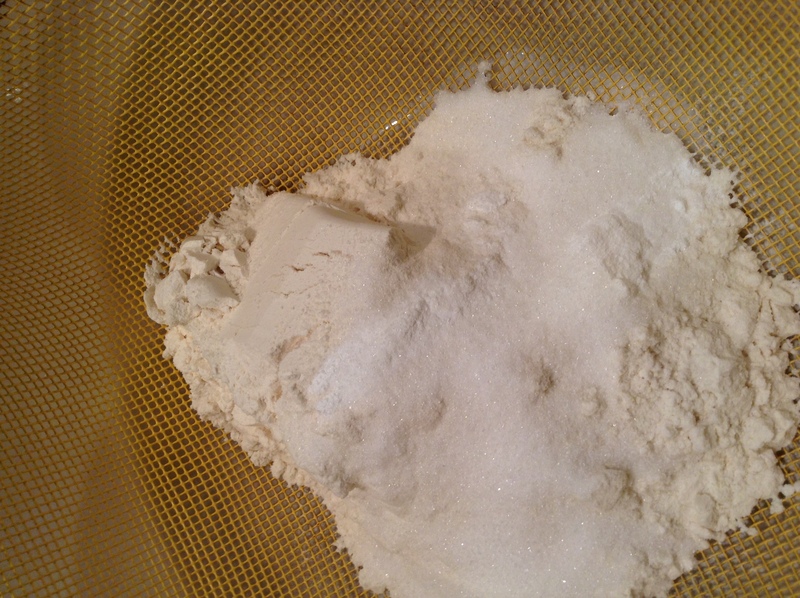 You can also use your finger tips to massage the butter into the flour. 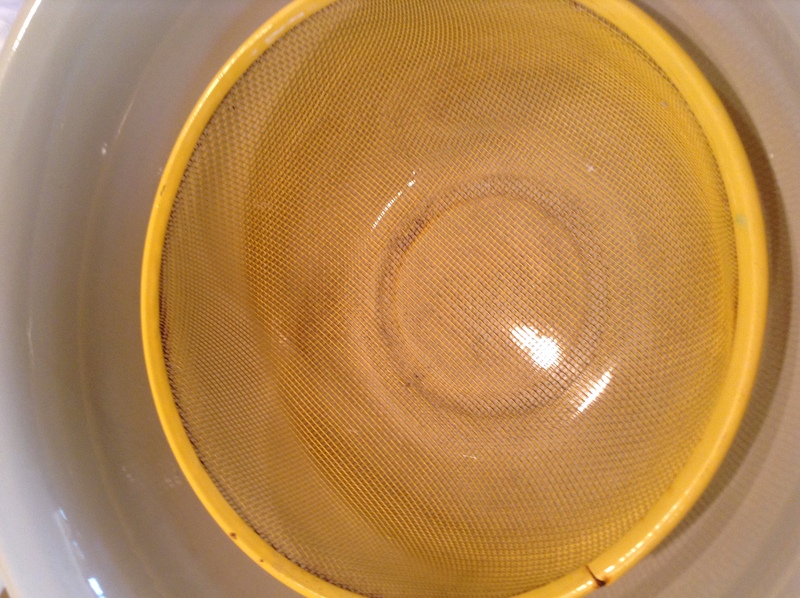 Do this until the mixture looks like coarse crumbs. 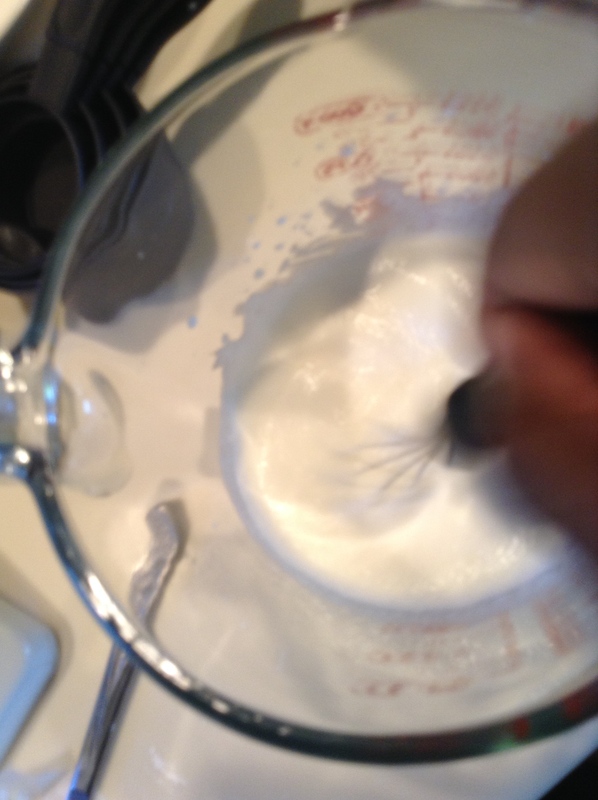 I whisk the cream before I make a well and add the milk to the center of the mixture. 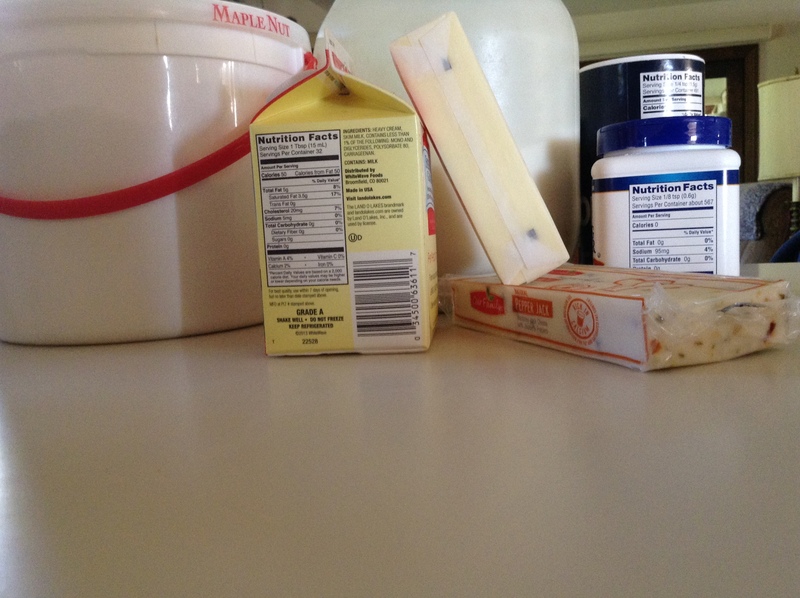 Fold the cheese and milk into the batter. I am the owner of a cast iron scone pan which has triangular sections for baking scones. This makes really attractive scones for serving guests. I don’t know what it is though, I always think scones taste better just rolled in the palm of your hand and baked round. It comes out far more light and fluffy, and just taste better to me. Is it all in my head? I don’t know but that’s how I bake them. See no scientific explanations here! Again, I am not a professional. I section them out and place them on an ungreased cookie sheet with a little lightly whipped heavy cream. 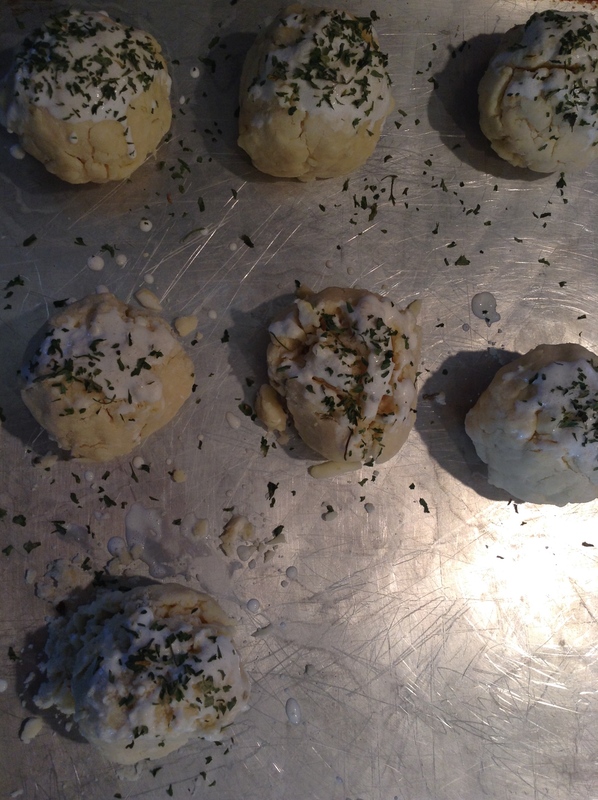 I top them with a bit of parsley and set them in the oven for 20 minutes. After 20 mins I pull them out of the oven and let them cool for 10 mins. They should be lightly golden brown on top and fluffy on the inside. Then it is time to eat! If you are interested in the original version of this recipe (Blueberry Scones with Lemon Glaze), I highly recommend it. You can substitute the blueberries for a host of things if you prefer. I have made this recipe with walnuts and raisins. I did try it with cheddar cheese (the yellow type) but found it oily. In Barbados I remember my mom using white cheddar in her cooking and I would try it with that if it were more readily available in my area. Hope you like them as much as I do. If you try these and let me know what you think!